How Fashion and ‘Eco-Something’ do (not yet) get along. “The goal of today’s fashion connoisseur is not to own a vast wardrobe of disposable garments, but a well-constructed collection of timeless pieces made, using sustainable methods.” – The International Fashion Industry. 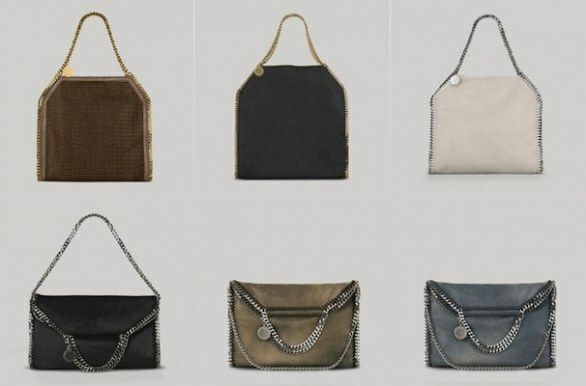 The Falabella bag / Stella McCartney. Stella McCartney, with her famous Falabella bag, brought sustainability into fashion business. She is one of the few top designers providing an eco-friendly clothing line, which is completely vegan and cruelty free. Additionally, she has pioneered some innovative sustainable fabric technology, which for instance makes the material of the Falabella bag look like real leather. Currently, she is the top of designers working with sustainability, where in general the small brands run ahead of the bigger ones. Author Andy NolanPosted on July 28, 2015 Categories UncategorizedLeave a comment on How Fashion and ‘Eco-Something’ do (not yet) get along. On Tuesday, Google unveiled a new independent startup called Sidewalk Labs with the goal of making technology that can fix difficult urban problems like making transportation run more smoothly, cutting energy use and lowering the cost of living. The company will be based in New York City and run by Dan Doctoroff, the former CEO of Bloomberg and former Deputy Mayor of Economic Development and Rebuilding for New York City. There is no shortage of innovation in Google products but they recognise it’s how these products and services are integrated that will accelerate the speed at which we transition from ‘dumb’ to ‘smart’. Of course, Google aren’t the only player in this space – but they are a key one. I would like to see cities utilising these tools but also working with their home universities to deliver smarter cities which tackle issues of governance, democracy and transparency as well as tech-savvy IT. In January this year DECC funded a number of innovative projects to support heat networks in the UK. Today saw the E.ON ‘s project announced: UK-first renewable heat network demonstration wins DECC funding. It’s encouraging in a week that has been dire for those of us in the sustainability profession, given the Government’s stance on zero carbon homes drop like a stone in the same way its commitment to on-shore wind has fallen, to see something good come from the coalition Government. Ed Davey was clearly able to keep some emphasis on low carbon investment when the Liberal Democrats were in charge at DECC. E.ON have stood alone as one of the ‘Big 6’ that have recognised the longer term value in heat networks and the scheme in Exeter and the investment in Sheffield are testimony to that. It’s good to see further investment that will decarbonise the heat in the Exeter network through the use of solar thermal energy.